On a total whim, last week I painted the guest room. A room that was on my 'when I get around to it' list, rather than my 'must do it now' list, if you know what I mean, though admittedly, it had a few patched holes in the walls that I'd not got around to sorting after we moved Baxter into his new room, so it needed doing. I find it hard to ignore a painting urge, so paint I did. When I painted Edie's room the week before (check out my plans for her room here), I didn't calculate at all miscalculated how much paint I would need, and ended up having to buy an additional 2.5L can to finish it, even though I only needed perhaps 600mls. Pretty annoying right? I was feeling pretty guilty about that because I'd not used the cheapest paint around, and then I realised that I'd have more than enough left over for the spare room. 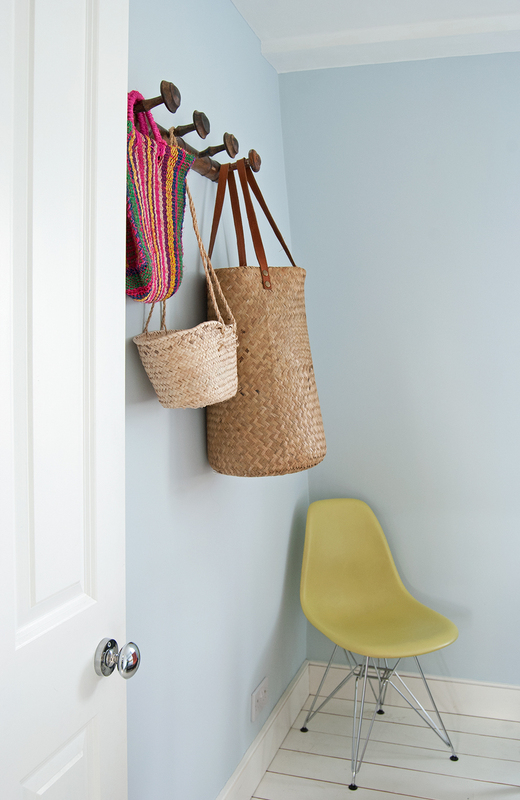 Bingo - guilt appeased, and inspiration sorted to make it a more welcoming space for guests. Guest rooms, at least in my experience, tend to end up being a patchwork of rejected and displaced items from the rest of the house, due to a change of heart or style or just pushed out due to new purchases taking preference. Full of things that you can't quite bring yourself to get rid of, but you don't really love anymore either. You know - the old pine bed frame that's hideous but rather useful? Keep it by all means, but you need to paint it. The ugly old desk piled high with 'filing', the ironing board, the fan that gets used four days a year at best, and the electric heater for boiler emergencies. Or is that just me? 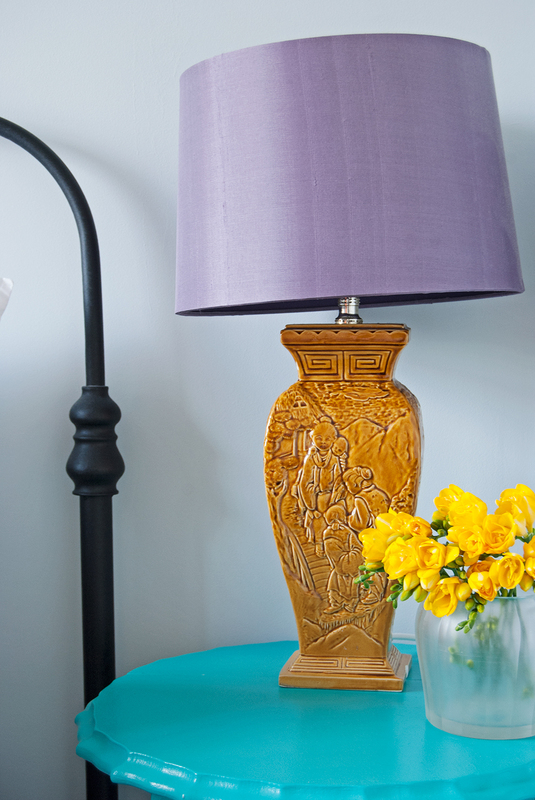 How about the ugly cushions that you once loved, and the vase that a relative gave you? 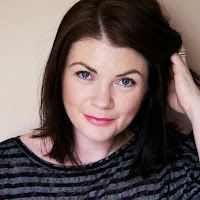 I'm not an organisation specialist, and certainly not even a neat freak, but I'm going through a slow process of clearing all the excess that we neither need or want. How you deal with your excess stuff is your business, but if you don't want to look at it, you probably don't want to subject your guests to it either, right? Once I realised that this patchwork thing had happened, I decided to do something about it, which unfortunately at this point means that I moved it from one room to another. But I am planning on continuing to cull. Promise. We decided against a sofa bed in our guest room because you can store quite a bit under a double bed, whereas you can't store anything under a sofa bed, and if you're anything like me, you'd fill all the floor space with other stuff and probably not even have room to pull the bed out when you need it, so a standard bed with space underneath seemed the better option. We opted for an affordable metal framed double bed from Ikea, which now has the Christmas decorations, blow up bed for when we have several people visiting, and who knows what else underneath, but the point is, it's hidden. As long as you don't go snooping under the bed, you'd think this was a dedicated guest room, and definitely not a dumping ground, which instantly makes people feel more welcome. 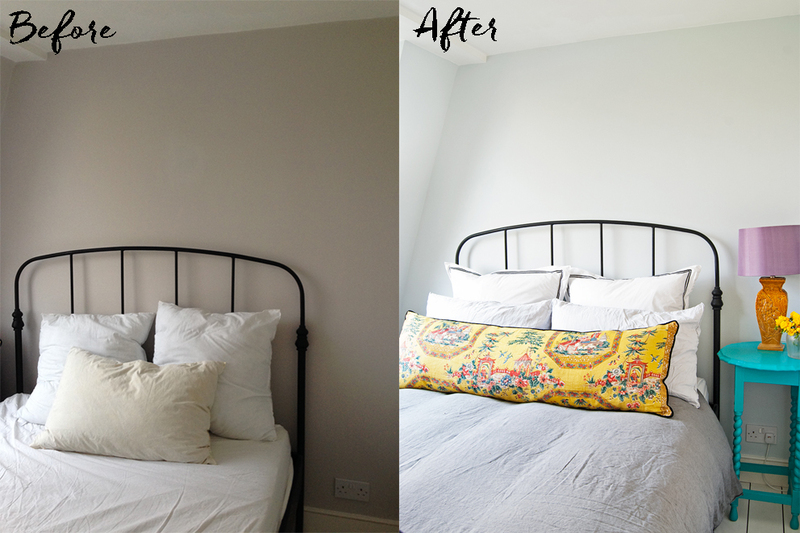 I managed this makeover in two days, so depending on the room size it's easily achievable over a weekend. 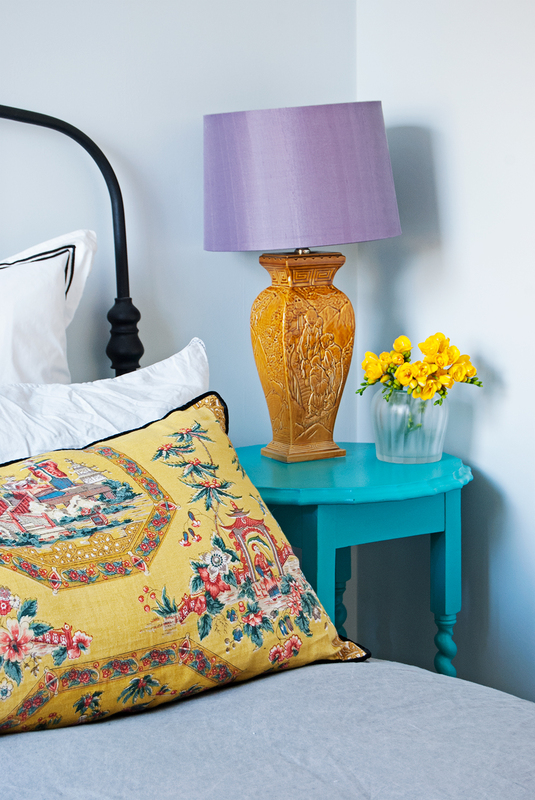 So here are my top tips for sprucing up your guest room super-fast and super-cheap. Remember, get rid of, or hide that junk! Paint. If it's the spare room it could probably do with a fresh coat of paint. 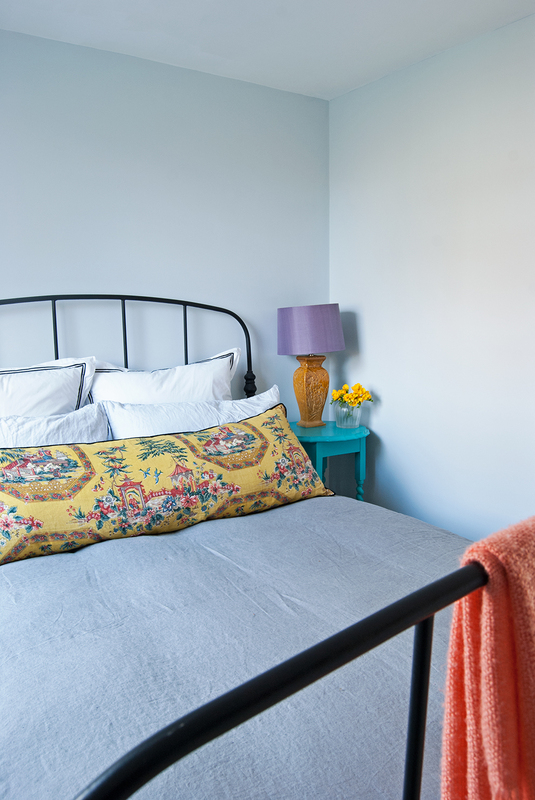 Though I've gone for a pretty pale powder blue, because that's what I already had (and my conscience wouldn't let me buy yet another can of paint), a guest room is somewhere you can afford to have fun. So don't paint it white or pale grey - do something a bit different. 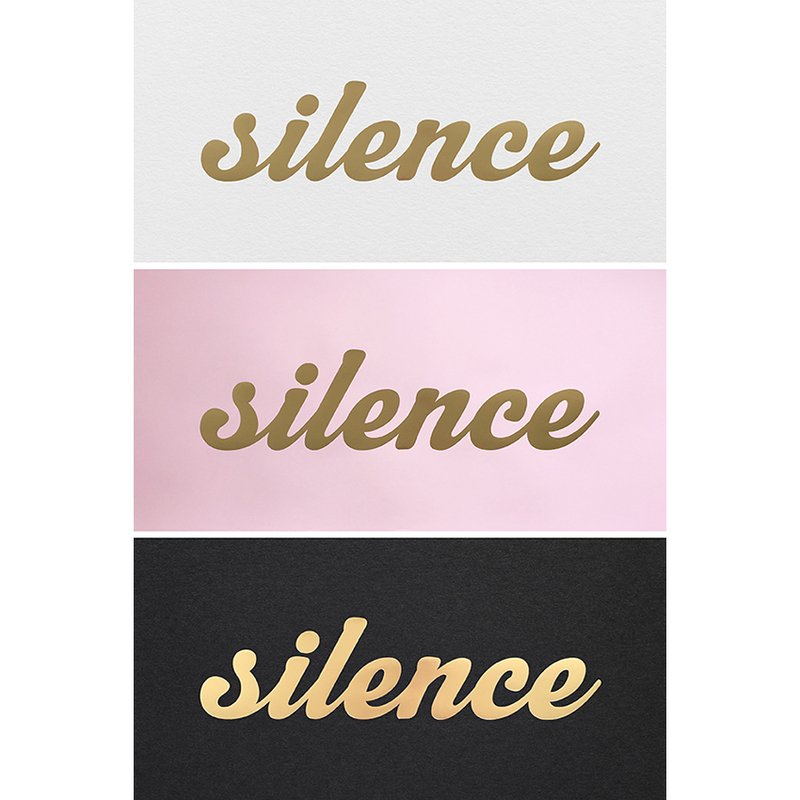 How about a beautiful rich emerald or olive green, a dark dusty rose or a deep ochre? Yep, that's the cold weather talking. But my point is, why not choose something that scares you a bit? You could even go off-black. I dare you. Bed Linen. Possibly one of the most important things when staying at a hotel, is also important in a guest room in the home. You don't have to spend a fortune - I bought some new linen for our guest room last year - some hotel style square pillows and cases from Richard Haworth (you can thank me later for sharing that Little Black Book secret with you), which are so comfortable to lean on when reading in bed in absence of an upholstered bed head. I also bought a pure linen duvet cover and pillow cases in different shades of grey from H&M. Their linen is surprisingly lovely for the price (I also have it for my kids beds). 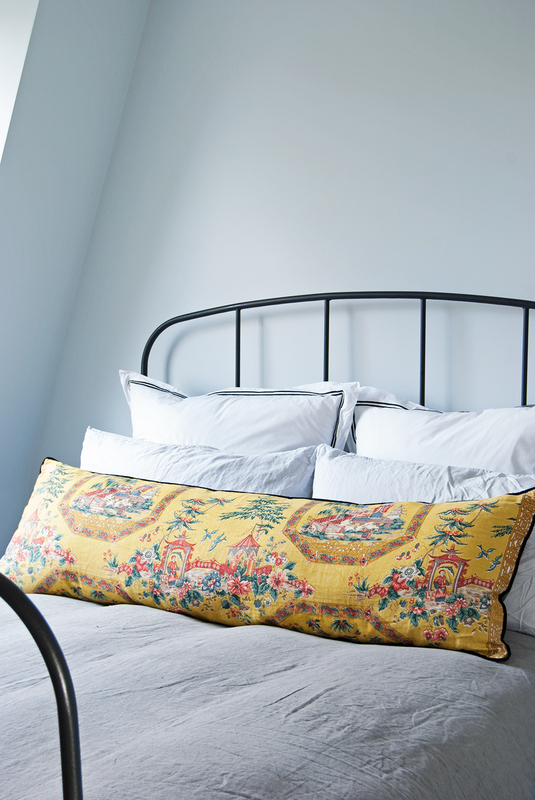 A friend once described linen bedding as feeling like a big hug, and she was spot on. I don't think I'll ever go back to a cotton duvet cover, certainly not in the winter months anyway. Bedside Table. I can only fit one small side table in (an ebay buy that I painted several years ago, and it used to be my daughters bedside table), but one is better than none. 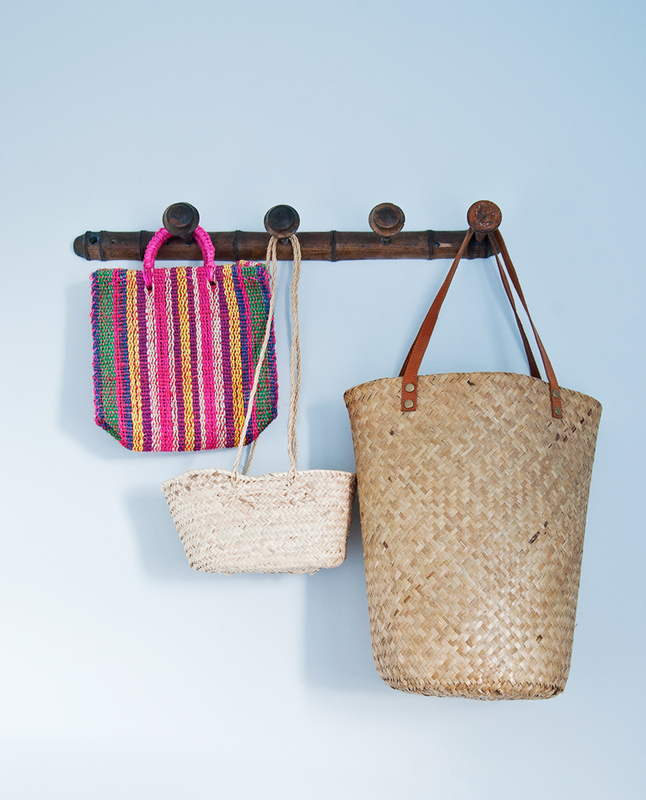 You could use a small stool, or if you're really tight for space, a small floating shelf works too. Somewhere to put a glass of water and a book other than the floor, will be appreciated. Lighting. Our guest room is in the loft extension, which has low ceilings compared to the rest of the house, and therefore the rooms have recessed halogen lighting, making atmospheric lighting even more important. At the moment, I've put a lamp that I already had on the side table, but I may swap it for wall mounted reading lamps, which saves table top space and means there's a lamp on both sides of the bed, upping the cosy factor at night. You can find a huge range of good looking wall lamps online that don't cost a fortune. Somewhere to sit. I've shoe-horned a chair into the corner of the room - it's nice to have somewhere other than the bed to sit and/or plonk your bag, so a chair, or even better an upholstered bench at the end of the bed if you have the space, is perfect. Rug. If you can add a rug, always do! They add so much warmth and texture, and can really finish off a room. Because of the layout and space limitations of our guest room a rug won't work (it gets caught on the door), so a sheepskin by the bed is a great alternative. And oh so cosy on these cold winter mornings. Art/Something for the walls. 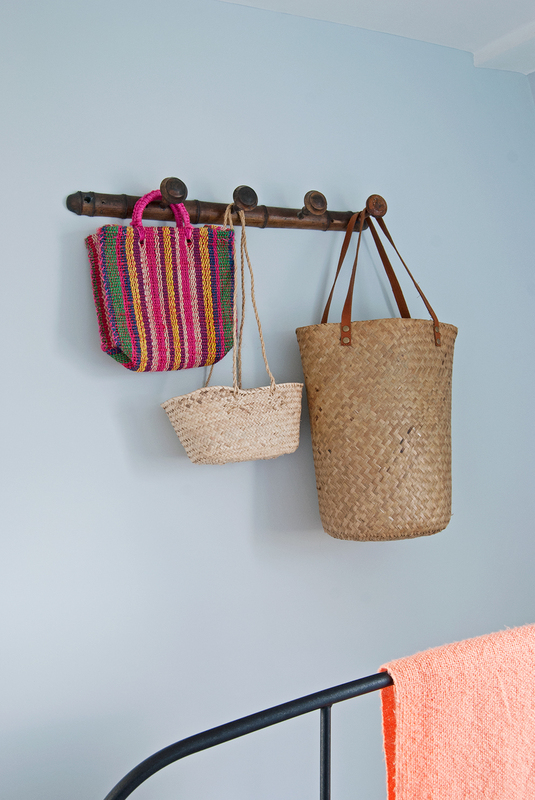 I've hung some vintage coat hooks that lost their spot in our living room in here and added a mix of natural and coloured baskets. I'd like to add a vintage floral oil painting or two to another wall, so I have my eyes peeled for something under £20. 'Shop-lifting'. Yes, that's right, go shop-lifting around your house. Grab a few things that you currently love to put in that guest room. Not only will it have the effect of making it less sparse and more welcoming, but it will make it flow better with the rest of the house - showcasing your current taste and style, and not the rejected stuff you used to love, but clearly don't anymore. I grabbed a bolster pillow, lamp, and a coral throw - things that I still love, but weren't currently being used elsewhere. Greenery. I'm thinking about putting a hanging plant to one side of the window, but only do this if you'll remember to water it. If you rarely go into the guest room, maybe give it a miss. And yes, it does have to be real - nothing brings a room to life more than some living greenery. The finishing touches for just before your guests arrive. Optional of course. 1. A small vase of fresh flowers on the side table. 2. A bottle of water and some tumblers. 4. If you really want to push the boat out, you could even pop a lovely soap, or some chocolate on top of the towels. Now you're a full blown domestic goddess. Or at least one in the making. Oh and I'm sorry if the wonky lampshade bothers you, but I quite like it that way!